*The beauty of sand art is that it is constantly in motion, constantly changing and evolving until it serves its purpose as sand art isn't permanent. Sand, in many cultures, is considered a sacred substance, often representing the ancestors of peoples indigenous to a place. For our "sand art" project, we will actually not be using sand at all, but instead, creatively crafting our own version of this precious resource from a crop grown in the regions studied: sugar. Exploring the Air we elevate our minds to invent and create, integrating artistic principle with scientific design. The term “Renaissance man” comes from fifteenth-century Italy and refers to the idea of a person with knowledge and skills in a number of different areas. 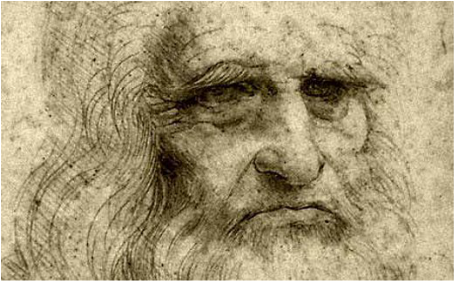 Perhaps no single individual defines the ideas of a Renaissance man better than Leonardo da Vinci—an artist, scientist, architect, engineer and inventor. Though Leonardo da Vinci may be most famous for his works as an artist (e.g. the “Mona Lisa”), he actually spent quite a bit more time working on his endeavors in science and technology. An intervention is an act; it's a strategy that's executed to help effectively improve the quality of something, the intent to reach a desired, lasting and significantly changed outcome. "Creativity is an important part of being an effective artist; Inquiry is what drives innovative thinking." Miss E.
*What can we do as artists and innovative thinkers to solve problems in the world? Watch this documentary "Billions in Change" to learn about Michigan billionaire Manoj Bhargava, founder of the 5-Hour Energy company, who has pledged to give away most of his wealth. "Manoj is going public for the first time with work he’s been funding on inventions that alleviate global suffering by attacking problems in the areas of water purity, energy availability and health."